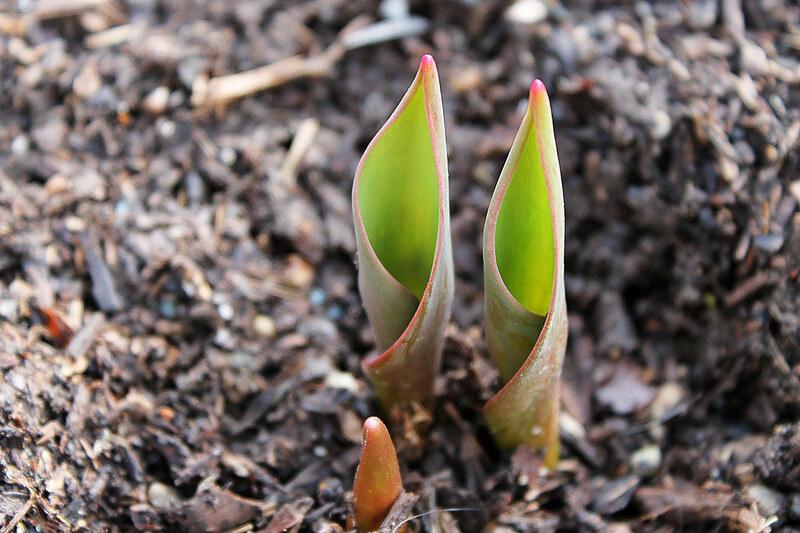 Preparing your Lawn and Garden for Spring Mulching | Mavroff Inc. Prepare your lawn for spring by removing debris such as leaves, twigs, dead plants, and other undesirables that have accumulated over the winter. Drainage areas are typically where this debris gathers. By clearing these, you ensure that the rains of spring will run off adequately. Rakes and air blowers work well for this job. Clearing the debris will free the area so when fertilizer is applied, it soaks in and does its job, if this is not done, the fertilizer and other materials get blocked by the excess debris. Early in the spring season, if you use a combination of fertilizer and pre-emergent, your grass will be fed and you will get a head start in preventing the growth of crab grass. Catching the crabgrass early allows less fighting during the thick of the season. Some fertilizers include pre-emergent in the weed killer, this can lower the cost and save you on application time. In the spring, it’s important to mow your grass early and often. 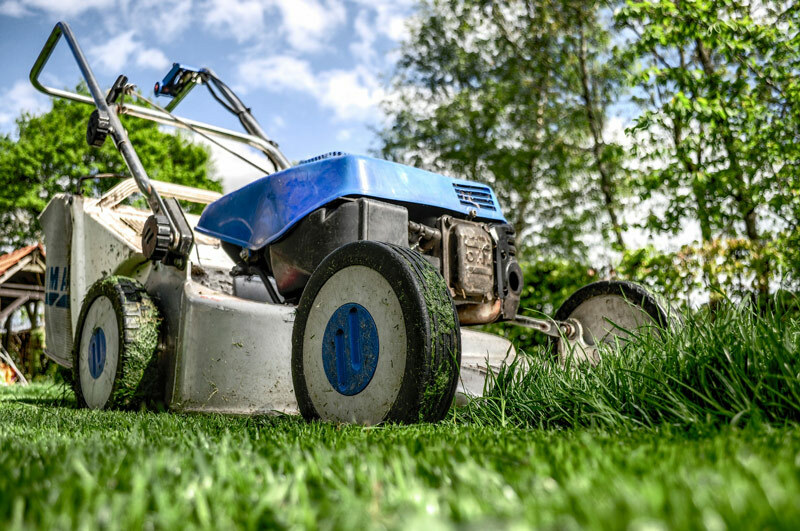 Once you let the grass grow too high and then give it a trim, it stunts the roots so they cannot reproduce properly – leaving you with thinner, weaker grass. By mowing every five days for the first few weeks of the season, this ensures a thicker, fuller lawn. Weeds that grow in spring have shallow roots, pulling them now will be the easiest. Once you have the lawn cleared up of debris and trimmed the grass, you’ll need to edge out your beds, cut back the shrubs and replace or add mulch to those areas as well. You’ll want to add mulch to protect your beds now before the heat of summer sets in. We suggest adding a depth of about 3 to 4 inches of mulch for this process. Adding a layer of mulch on a planting bed helps suppress weeds, retain moisture, and help control soil temperature. If you have a layer of mulch from previous years, you can simply refresh the bed with a thin 1- to 1½-inch layer. When you apply mulch, it restores the color, improves drainage, and helps protect your lawn against erosion. If you have never laid mulch down, you will need a thicker layer of mulch to properly insulate plants and create that moisture and heat barrier. We suggest up to 4 inches of mulch will be the max. If you lay too much mulch you could prevent nutrients from reaching plant roots. Use wood chips on muddy walk ways or to create walkways in your garden. Here at Mavroff, we sell, deliver and install to all of southeastern Wisconsin with FREE delivery to select service areas. Mavroff Inc. specializes in wholesale loads for contractors and residential deliveries. You can also stop in for free samples or pick-up orders! We offer 18 varieties of mulch including large pine bark nuggets, shredded hemlock, western red cedar, playground wood chips, brown enviro-colorized mulch and much more! Topsoil is also available! Spring is here and it's time to mulch! What is the Best Playground Flooring?